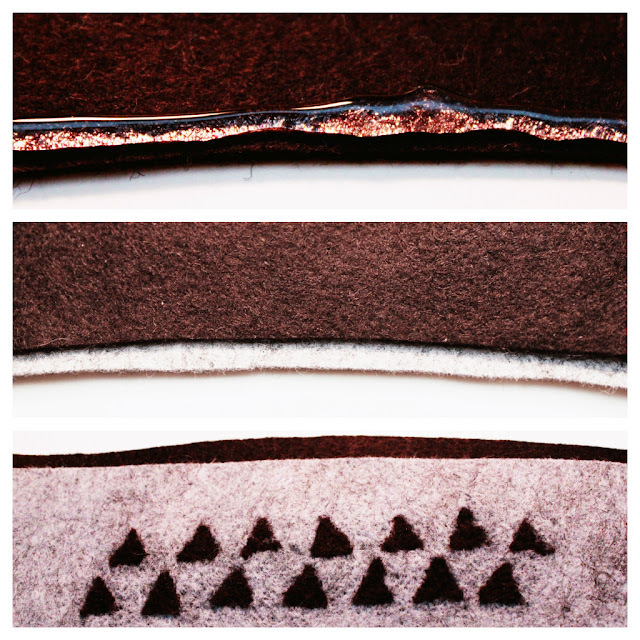 Today is project #3 in our 4 project Fall Felt Series. Jen and I are both coffee addicts. Our brain cells fail to work properly if our mornings do not start wtih coffee. Pretty much everything we do revolves around the consumption of coffee. This specific project is one I actually had in mind for a guy gift. I made one for my husband and he uses it all the time. 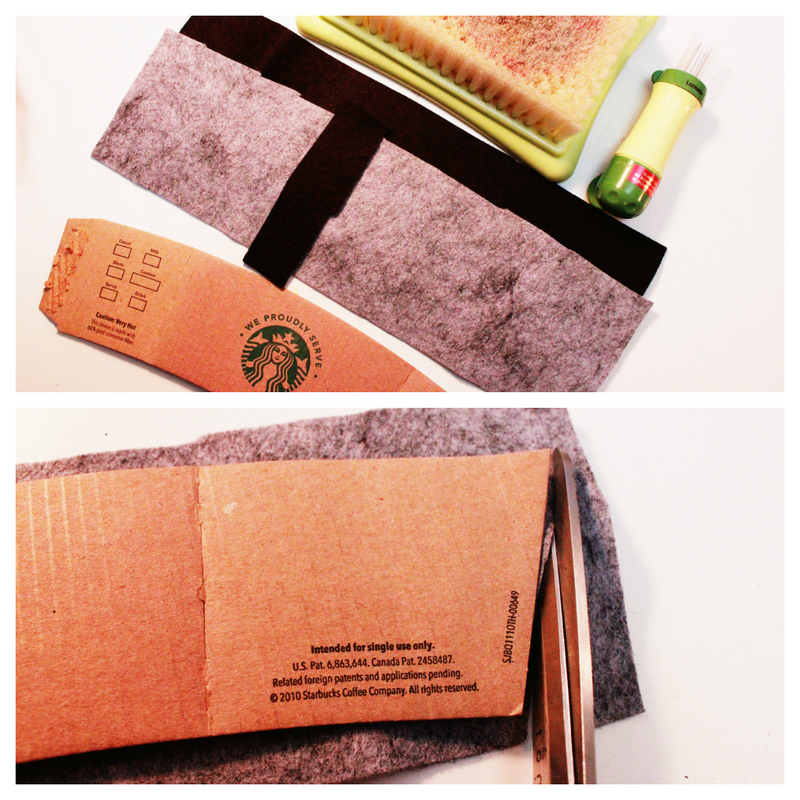 Use the cardboard sleeve as a pattern to cut the shapes of your 2 strips of wool felt. They should be identical. 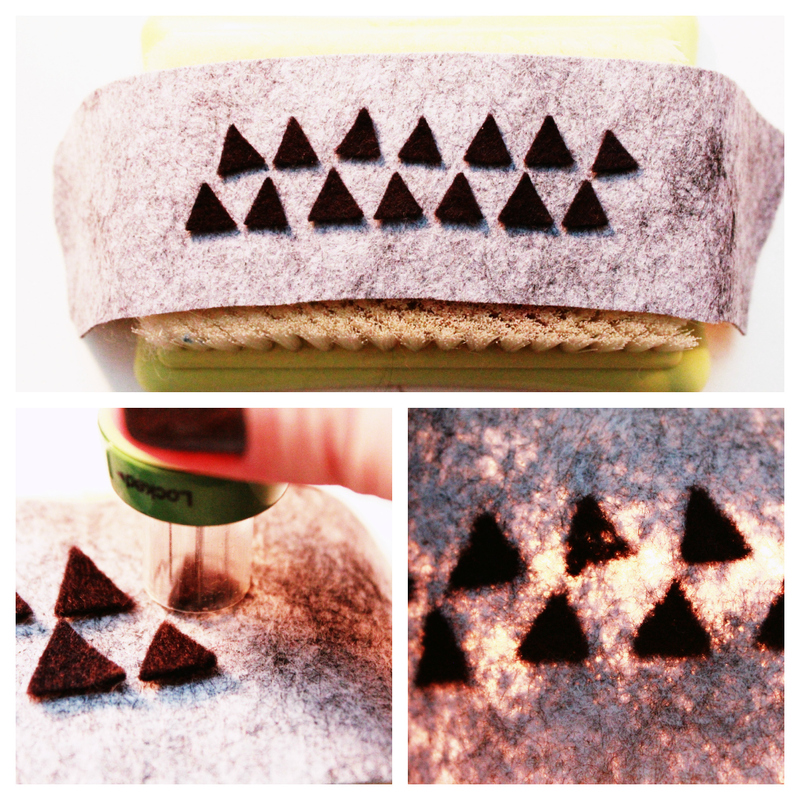 Cut small shapes out of your piece of scrap felt and place on your main color of felt in the design you want. Place on top of needle felting brush. Start stabbing! Be careful not to stab too much, otherwise you degrade the thickness of the felt and holes are inevitable! 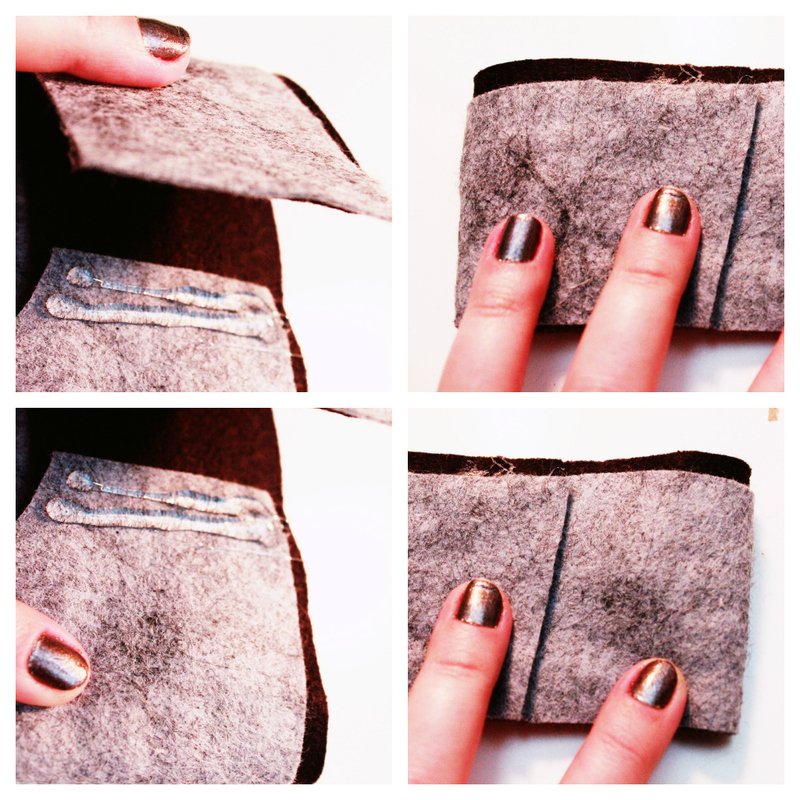 Now glue your two pieces of felt together, slightly off-setting them so you can see both colors. I applied a line of glue every 1/2 inch. 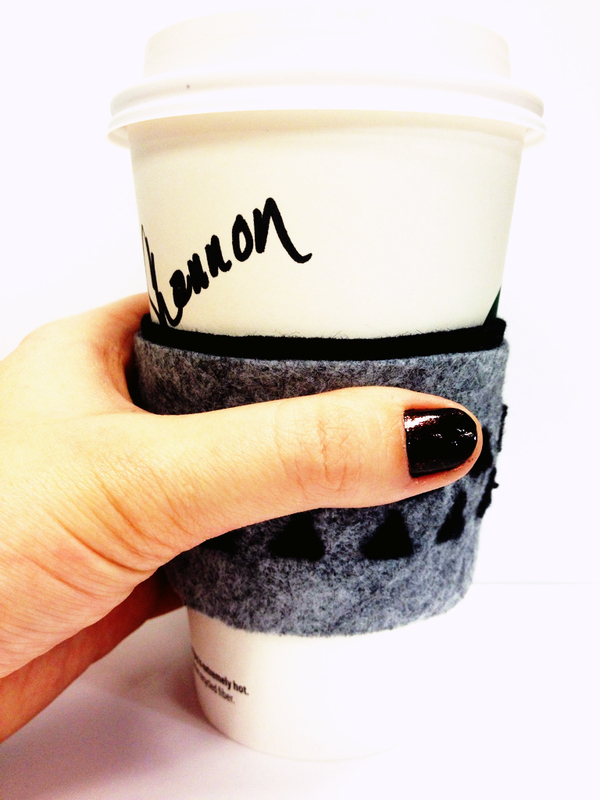 It stiffens the felt, but once complete, it acts as an amazing layer of insulation to protect against the heat of the coffee. Now just glue the ends together! 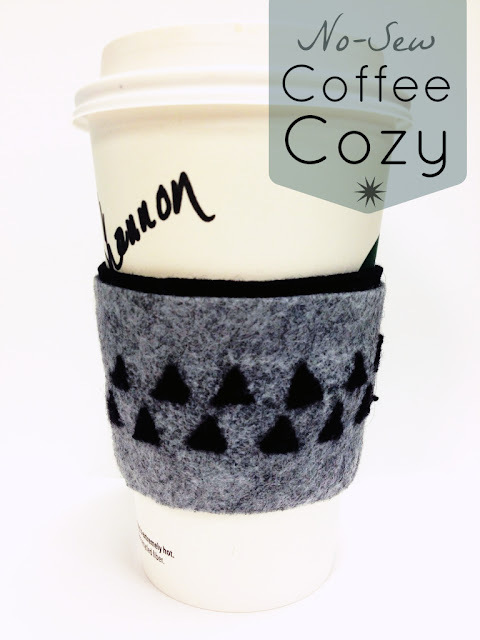 Use your cardboard sleeve as a guide so you make sure it fits around the cup. Just remember to take it everywhere with you! This is actually my third one.. I've worn through 2 of them already! (about one per year) These make awesome gifts, too. This is so cool! I MUST make this for my hubby for sure! (and one for me and my tea cup) Love this felt series ladies - woohoo! 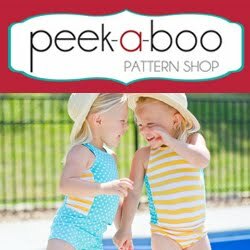 You had me at NO SEW, so cute! Cute! Would love it if you linked up on my blog hop www.w-t-fab.com/search/label/bloghop. 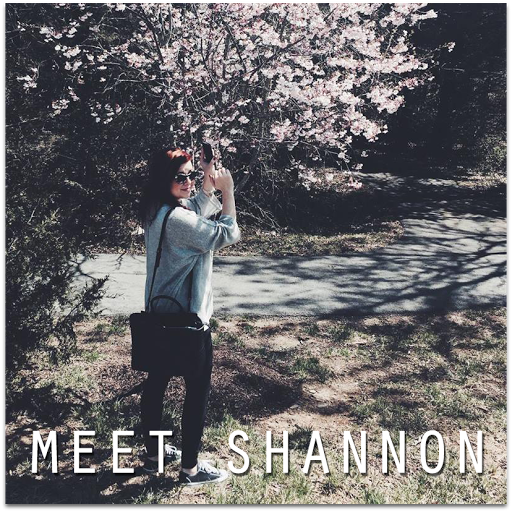 Also let me know if you'd like to follow each other!